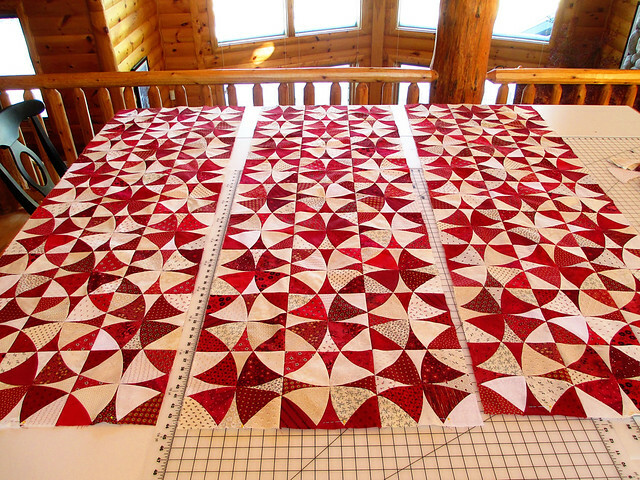 On to the quilting design! This entry was posted in Red and White Winding Ways. Bookmark the permalink. Absolutely gorgeous . 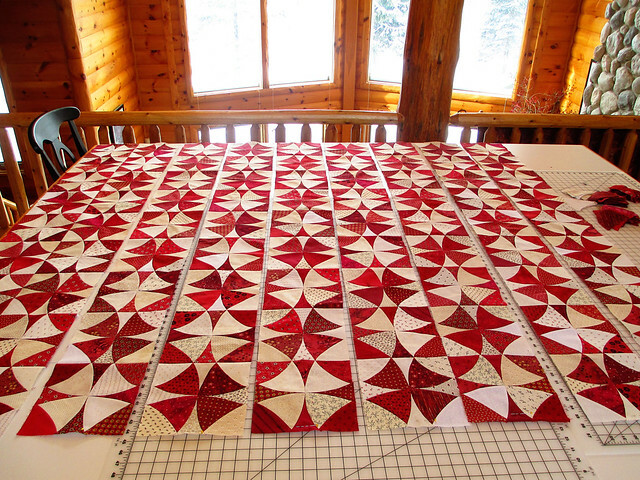 Red and white quilts are my favorite! I love your quilt!!! Very inspiring. What a beauty! And I love the colors. You are my Hera! I’m committing one (or more) of the 7 deadly sins right now. Nice, I like seeing the circles pop in and out. Absolutely stunning. 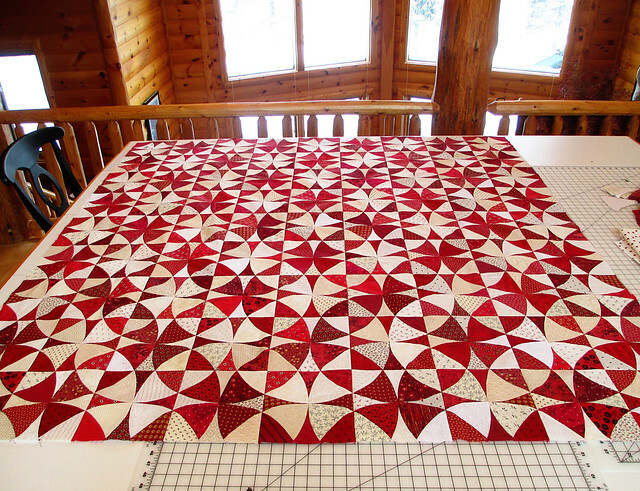 I am excited to see the circle quilting on it. 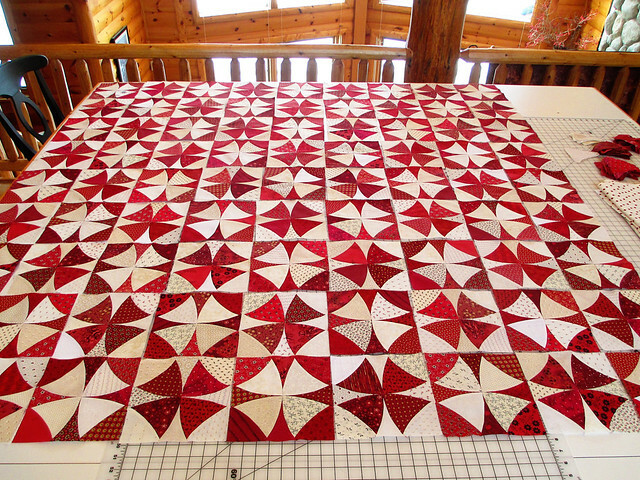 Still watching for a quilted finish on this lovely winding ways. I am such a sucker for red and white. And this one is great. Please do not use my original photos or text without asking me for permission. Thank you!